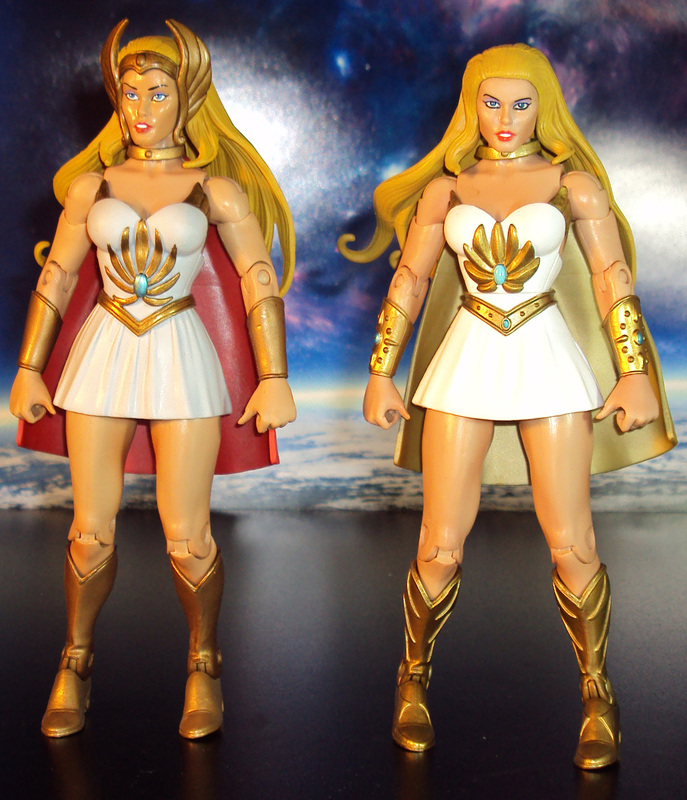 Completing my versions of MOTU Classic She-Ra is Adora. 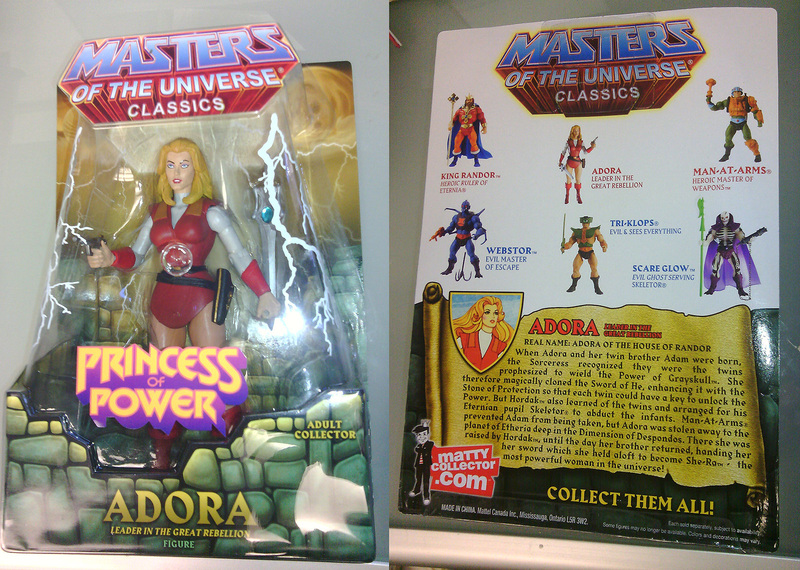 She comes in the typical MOTU Classic packaging with the Princess of Power official logo added on. Sculpted to perfection by the Four Horsemen, this figure sports a very beautiful rendition of the lost child from Eternia. 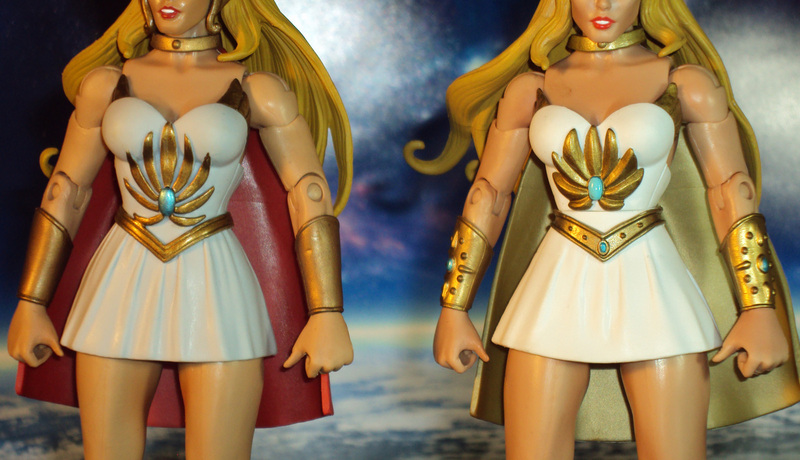 What’s different about this figure compared to her cartoon version design is the short mini skirt. The version in the show was more of a leotard. This design change allows her to spread the legs wider for better dynamic posing. Her weapons include her Power Sword and blaster. 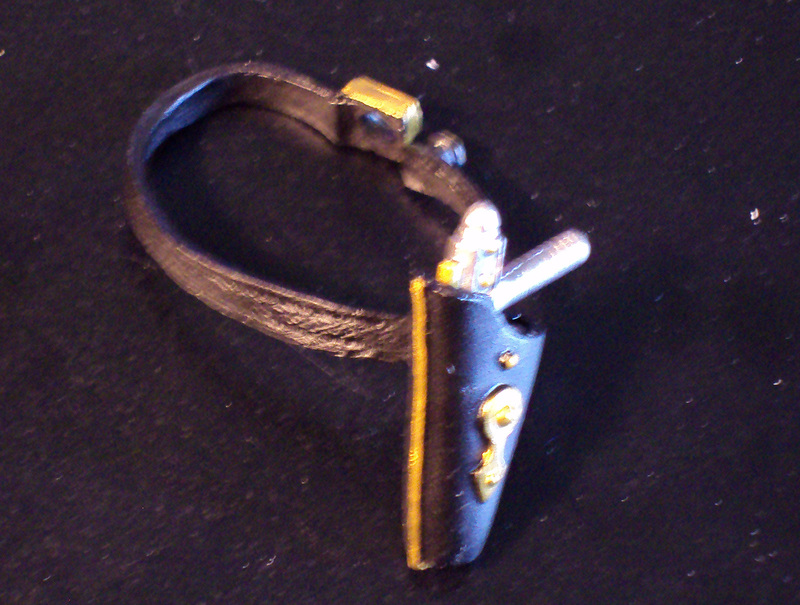 The blaster can be stored in a removable belt. 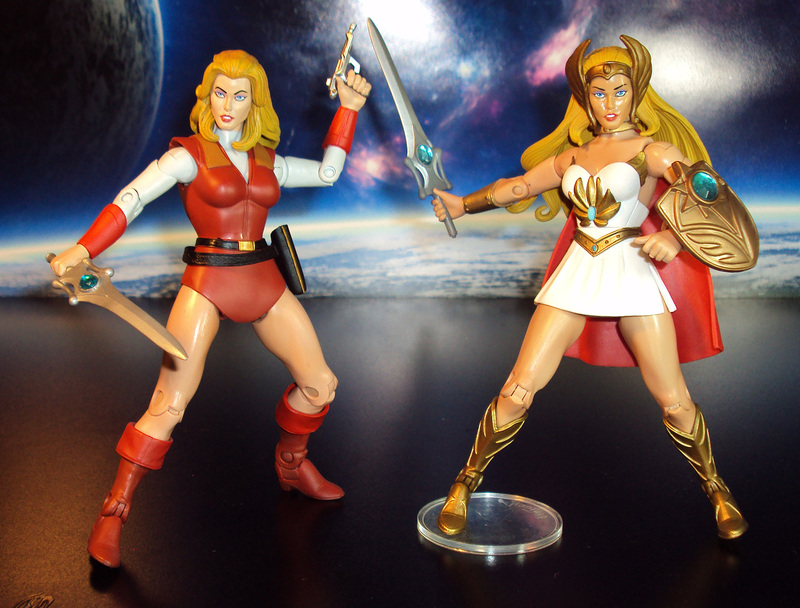 She looks amazing next to She-Ra. 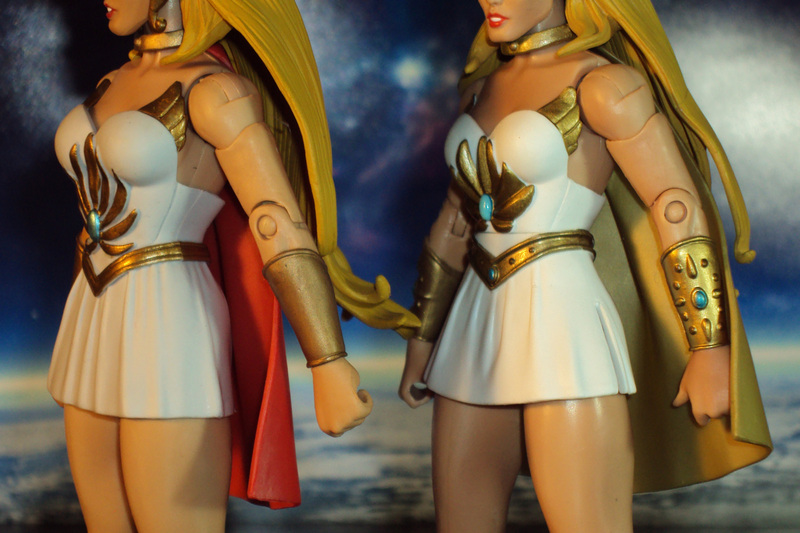 Note the similar body type and facial sculpt features. 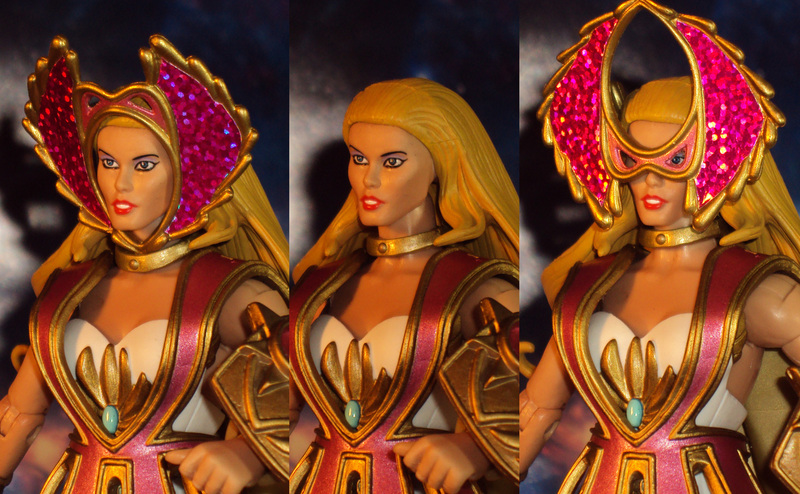 I very much recommend this figure to MOTU fans. 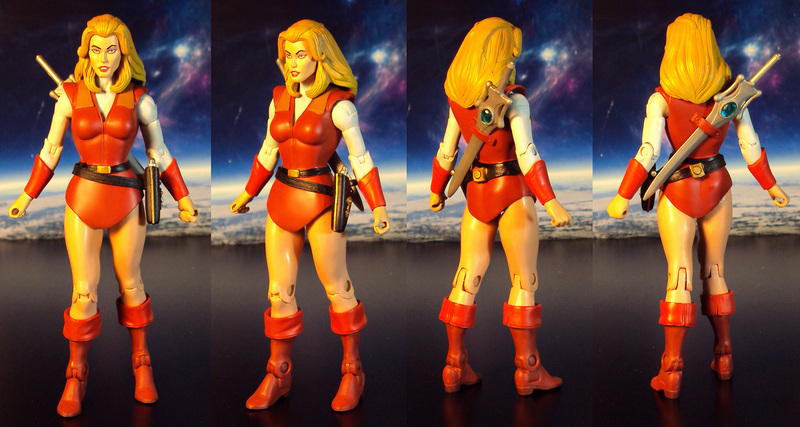 This is the 1st version of Adora in action figure form and is simply stunning to have in hand. Sells for about $30. 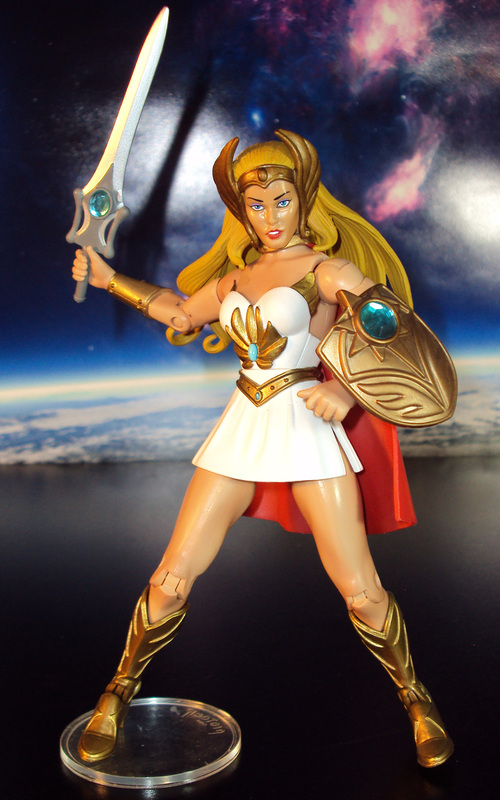 Due to my sudden interest in She-Ra, I noticed there was a new version of Teela in this blonde version called Battleground Teela as I was browsing at the MOTU Classic figures from Mattel. 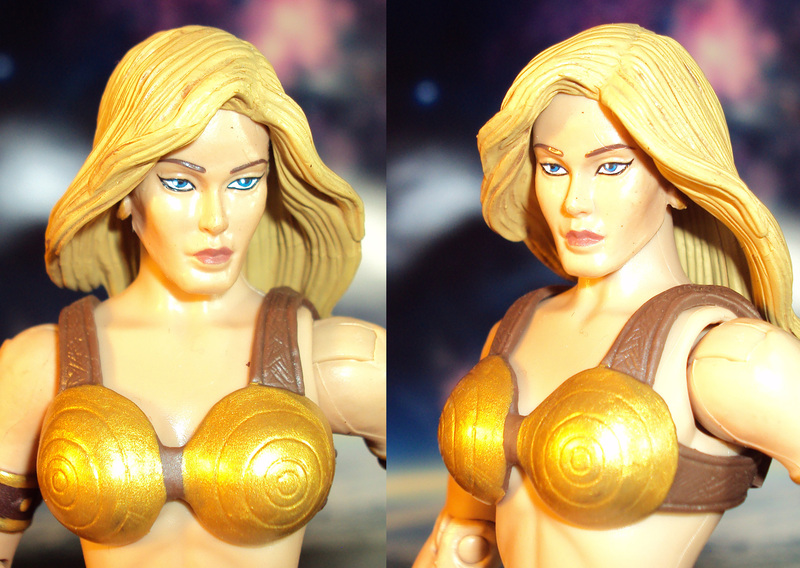 She reminded me of Conan and Red Sonja so much that I had to get her. 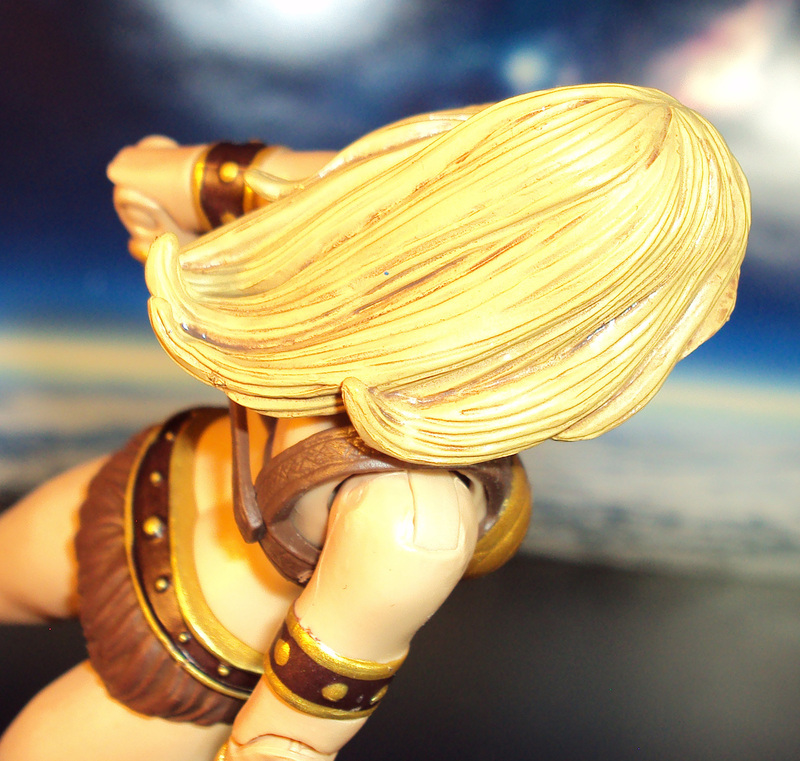 She comes in the typical MOTU Classics packaging. Her design is amazing. She has a muscular body type in this very barbarian style outfit. Her face sculpt screams tough girl. Loving the design of hair. Her attire is mainly just gold and brown. 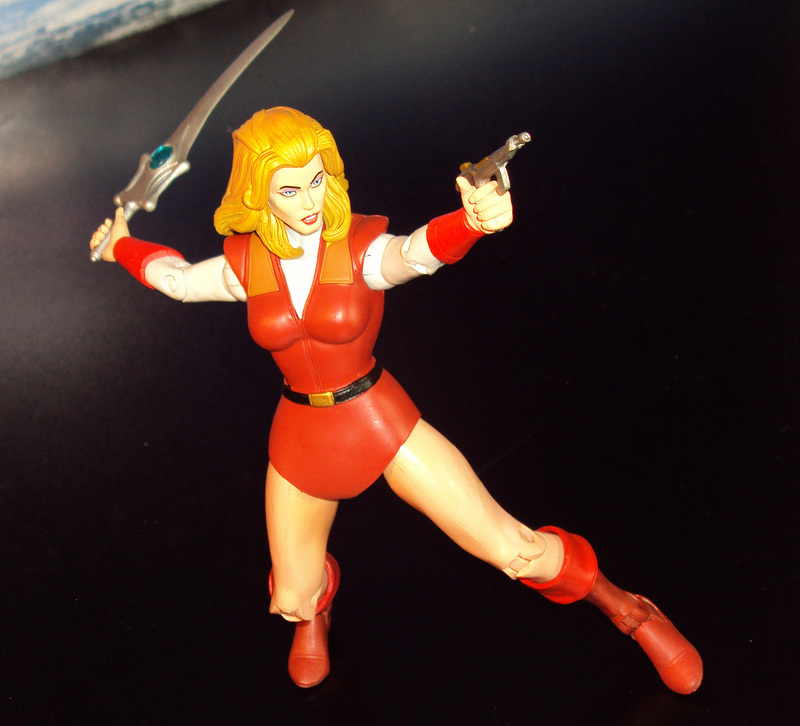 She includes a simple sword and hand blaster. I found myself Saturday afternoon bored out of my mind and decided to watch She-Ra for the 1st time on Netflix. I was majorly impressed by the 5 part opening storyline. I didn’t realize her design was so simplistic and beautiful. 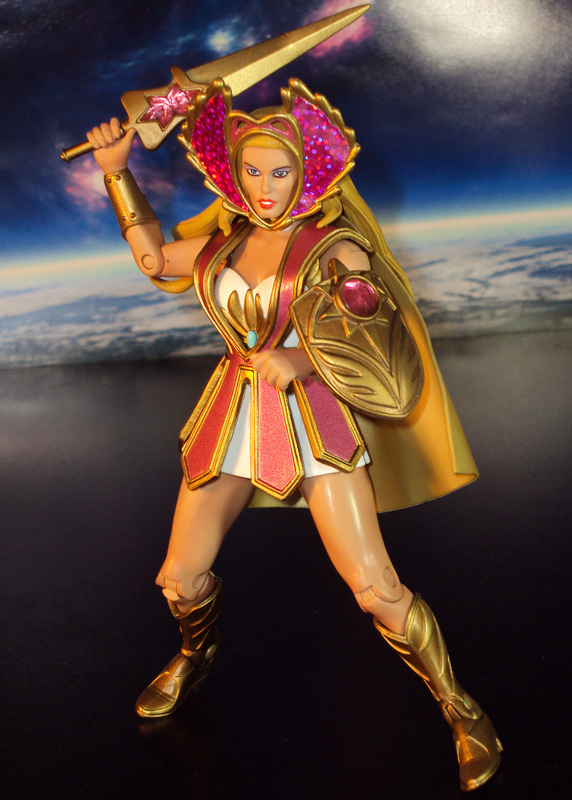 After browsing a little bit more on Youtube, I found out Mattel released a 2.0 version in the MOTU Classics line known as the Bubble Power She-Ra. I already own the 1.0 version and was really excited to get my hands on the 2.0 which sported more articulation along with a new feature set. 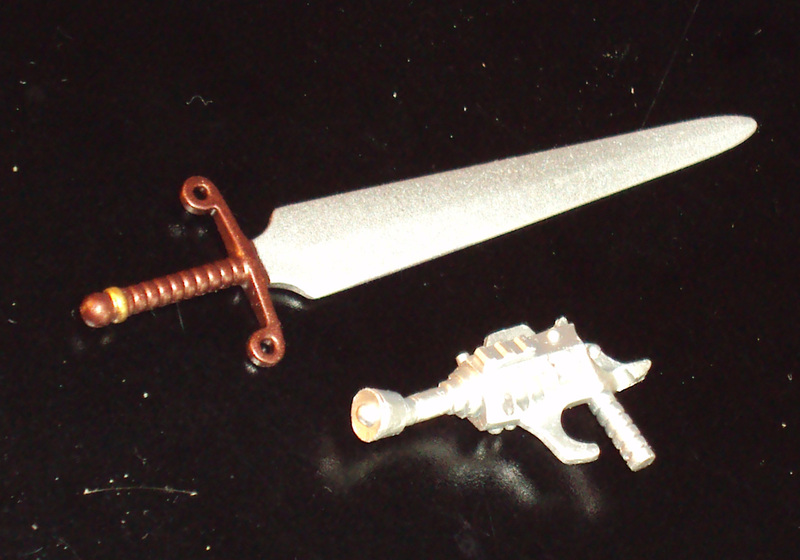 Packaging is in the standard MOTU Classics style. Very cool that the official Princess of Power logo is present on the lower area. Out of packaging, she shines. She features a clip-on reversible head dress that can be removed and applied upside down for a mask look. 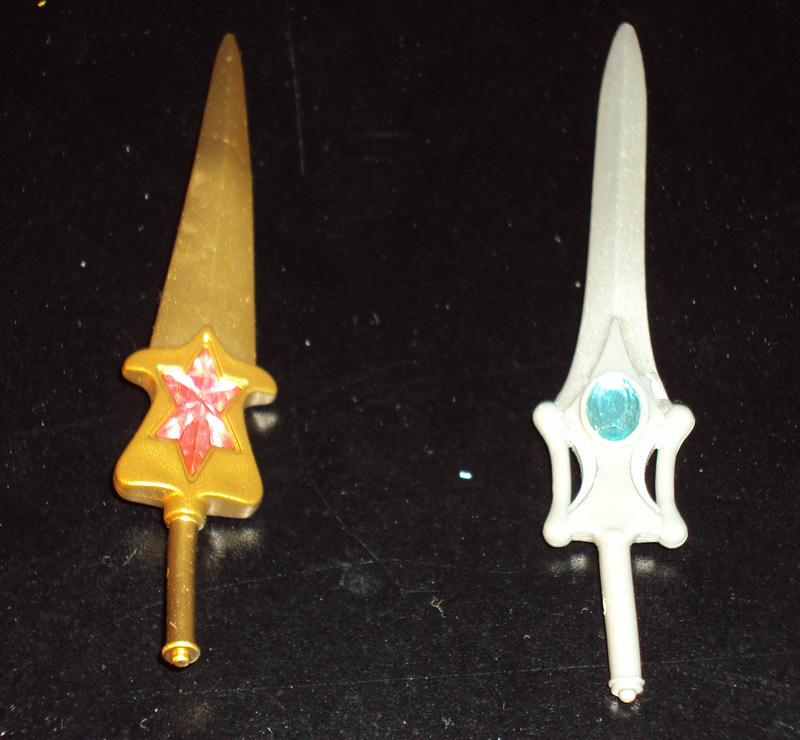 She has a new golden power sword with a pink translucent piece of plastic. 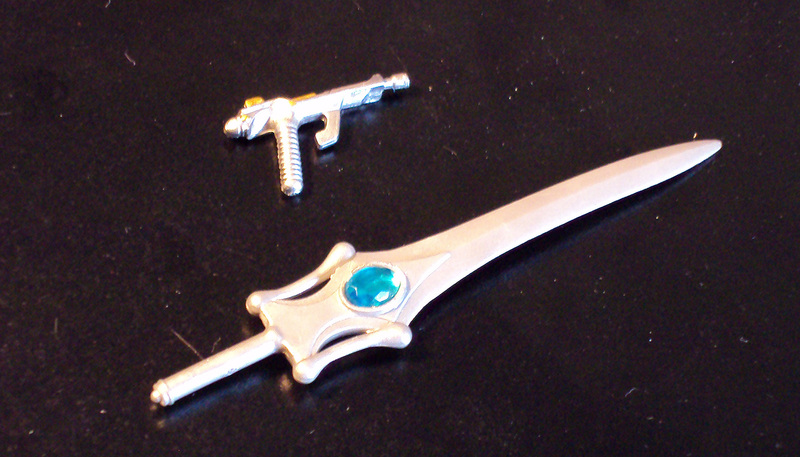 Here it is next to the original sword. 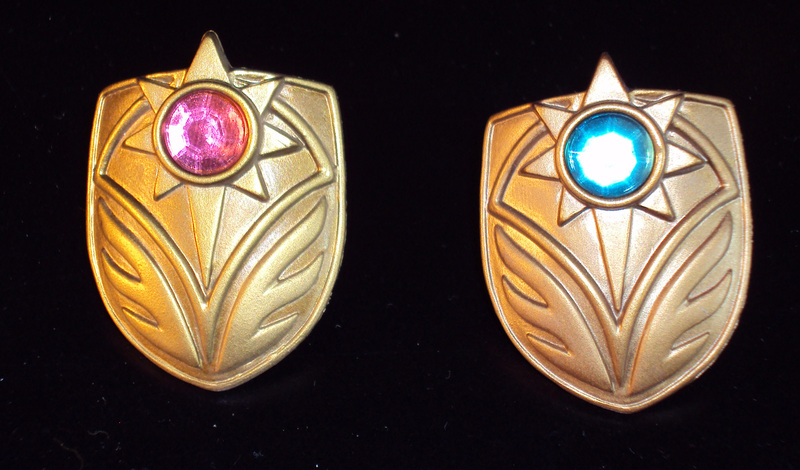 She also comes with the same shield but in a brighter gold and a pink translucent jewel. Her final accessory is her Bubble Blaster. Comparing to the 1st version you’ll note they are equal in scale. 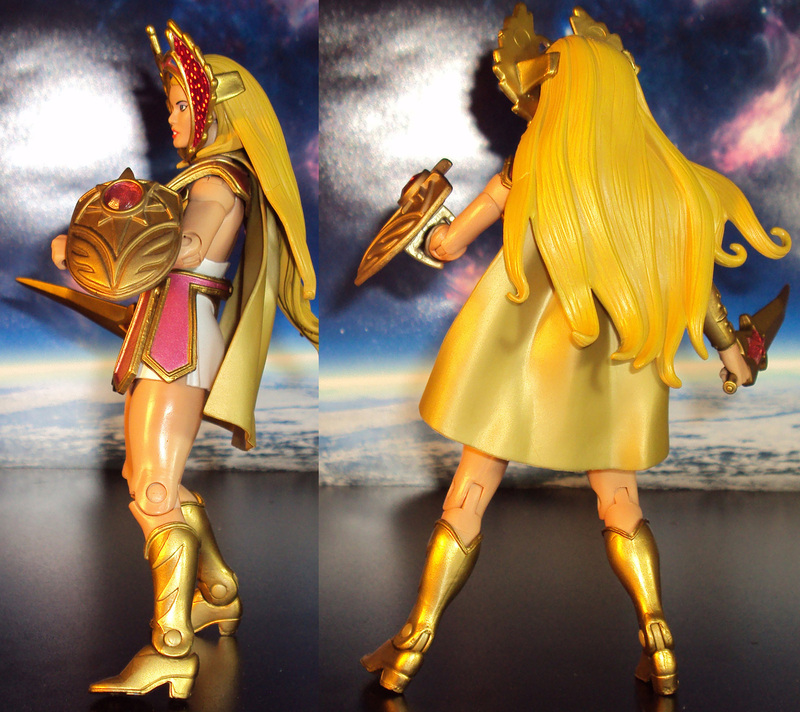 Looking closer, she sports a much whiter dress and differently designed golden elements all over her body. Notice her cape is all gold. 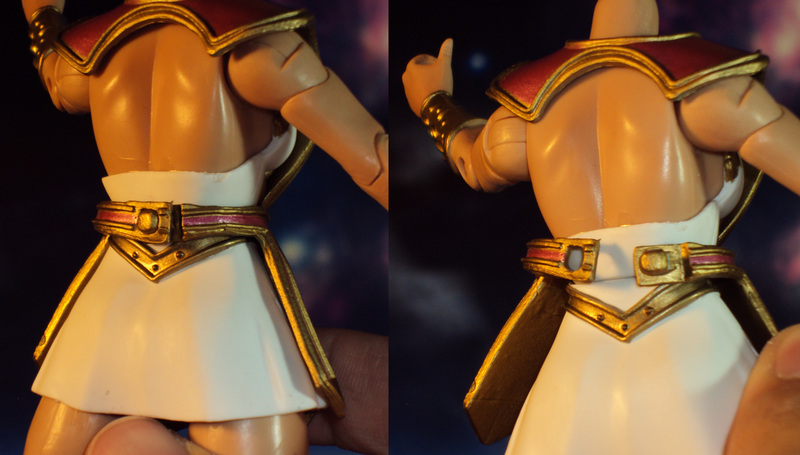 She also now has a slight along both sides of the skirt. Gold is also brighter when compared to the 1.0 version. 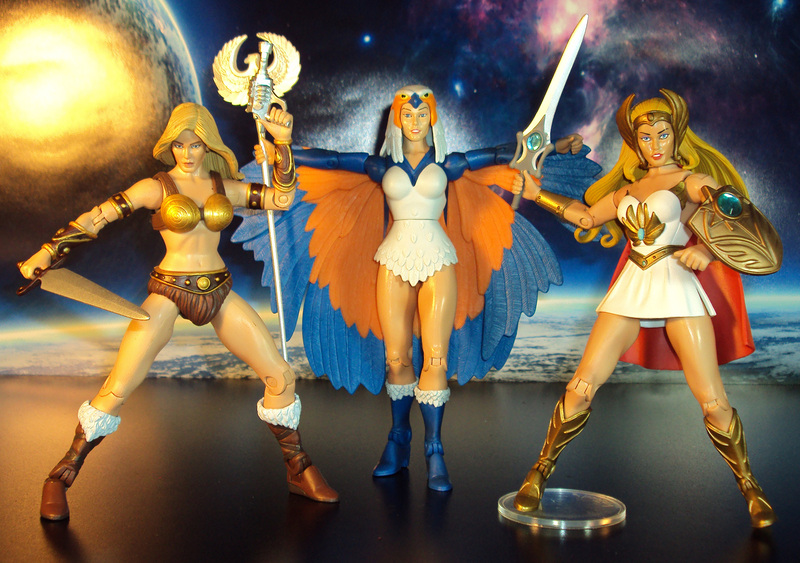 You can part swap and create the She-Ra you want if you own the 1st version. I’ve taken her cape, weapons and head off version 1.0 and put them on the new body. 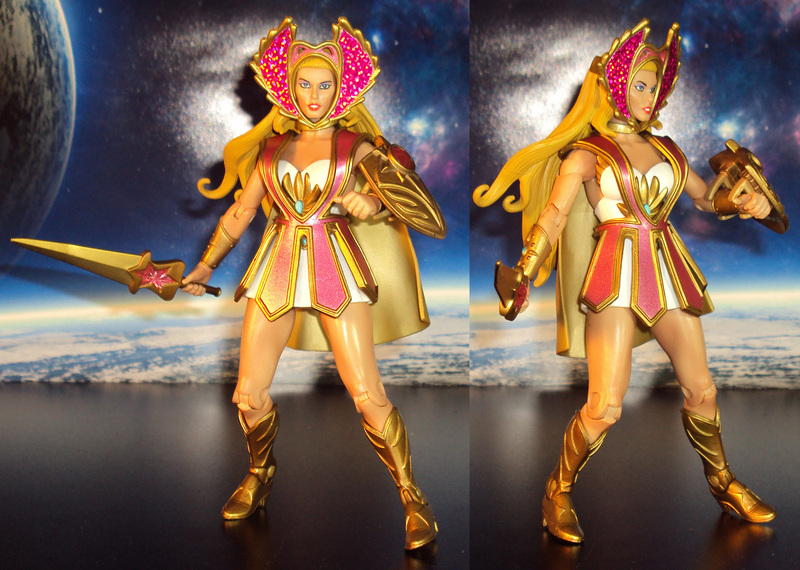 I now have the perfect She-Ra of my liking. Her articulation has improved with the addition of high thigh swivels. Those slights I pointed out earlier allow the legs to spread out more. 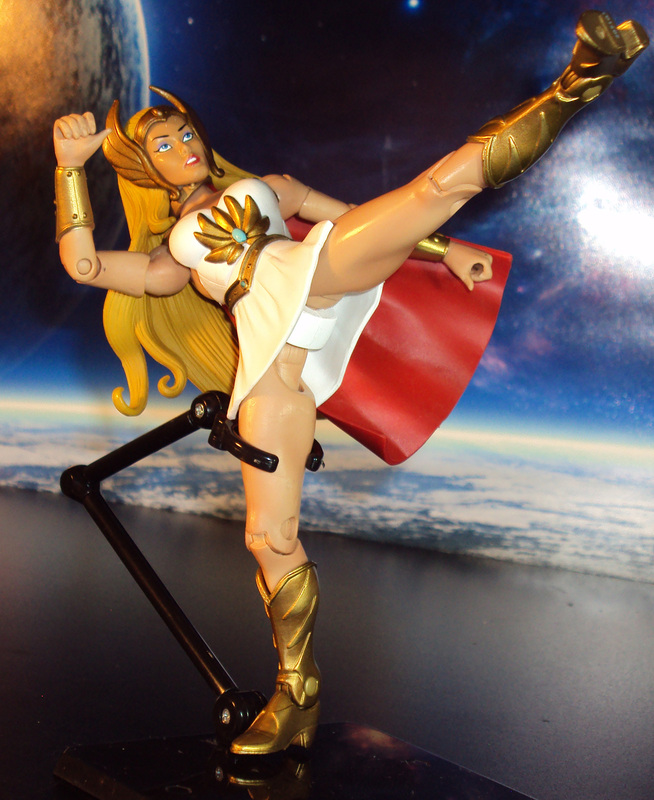 Here’s She-Ra doing her impersonation of Chun Li. 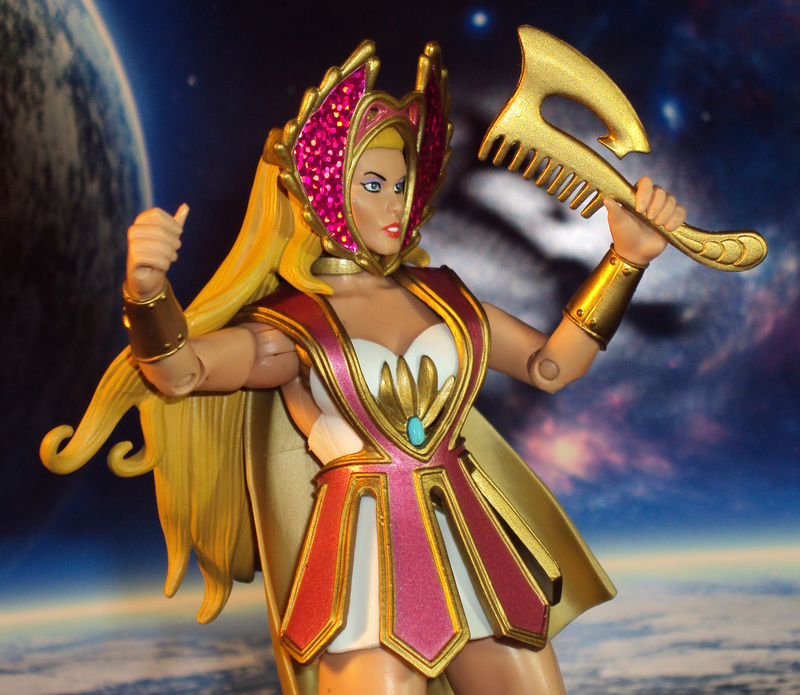 Overall, I think Bubble Power She-Ra is a must have. 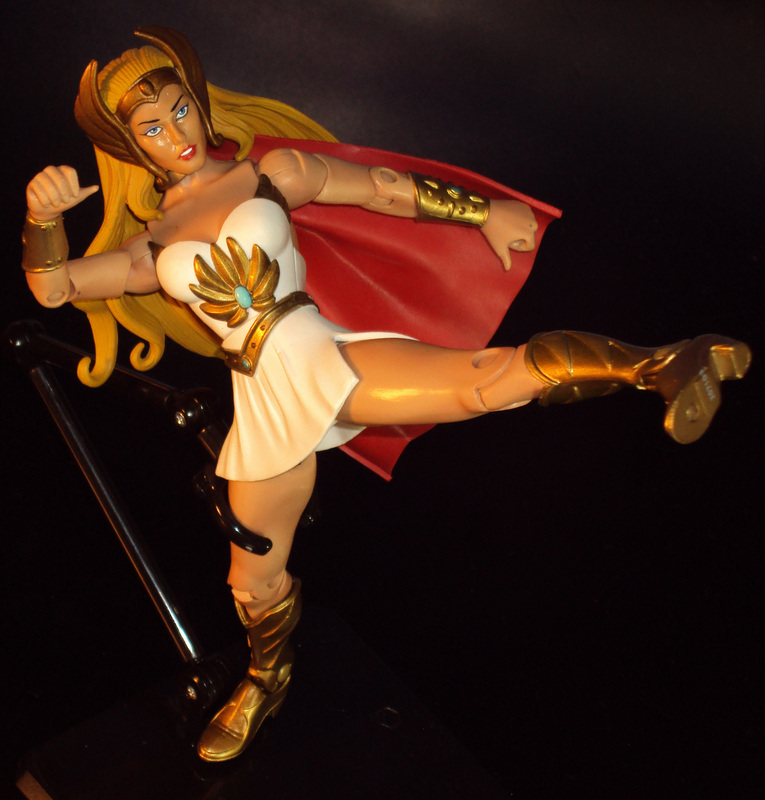 There’s just enough new features to justifiy owning this figure again if you own the previous She-Ra. I should mention this version is the one to get if you plan to get her unicorn pal Swift Wind because of the improved articulation. Priced at about $30.